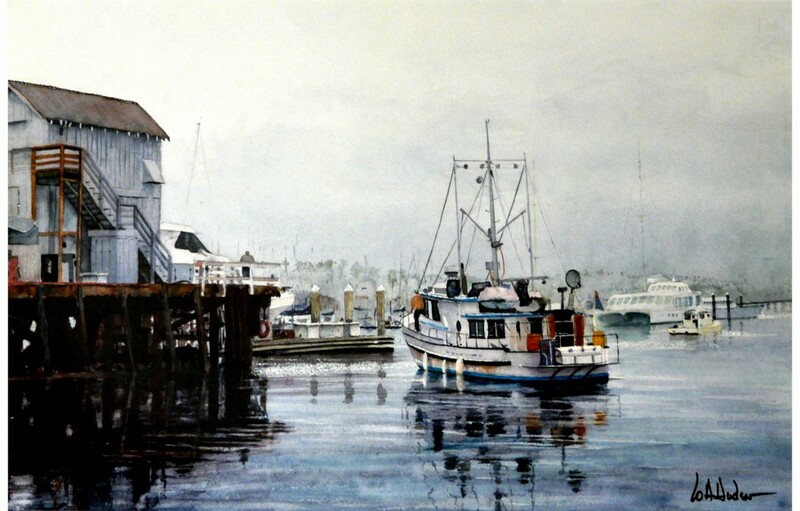 I was in Santa Barbara harbor early on a June morning in 2009. I wanted to get pictures of Mike McCorkel’s old Monterey boat which is docked in front of the museum. I was fortunate to also get this scene.